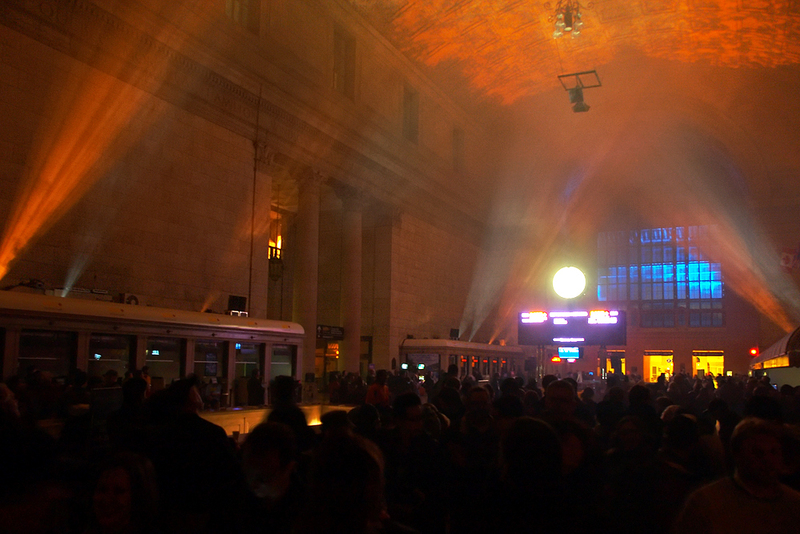 Imminent Departure, Nuit Blanche, Union Station, Toronto, 2009. Few places in Canada posses the emotional resonance of the Great Hall in Toronto’s historic terminus, Union Station. It has been the arena for countless arrivals, last-minute escapes, missed connections, lovers' reunions, and fresh starts. Life-changing upheavals-- whether caused by personal, economic or historical events -- serve as the backdrop for this immersive intervention. Through a multi-channel audio score of songs and voices,and dramatic lighting, the work engages with the romance and heartbreak of travel stories brought about by unforeseen crises.